One of my family's favourite snack. always available all year around & makes a best accompaniment for any kinda of meal or by itself. My husband's favourite & is very good in potassium & dietary fibre. 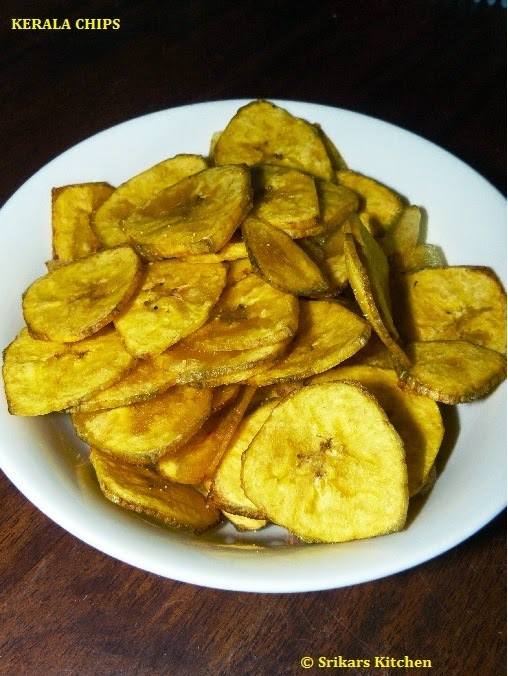 Heat oil in a pan, deep fry the plantain until crispy. sprinkle a pinch of salt & mix it. Yummy snack..my daughter loves it. Popular snack of kerala, you made it perfect. First time here. Visit my space also and keep in Touch. Oooh these look so yummy !! Want to munch some, love these crispy chips. One of my favorites, looks very crunchy and delicious..